When it comes to fashion muses, Holly Willoughby and Meghan Markle definitely have a big impact on what British women buy and wear. 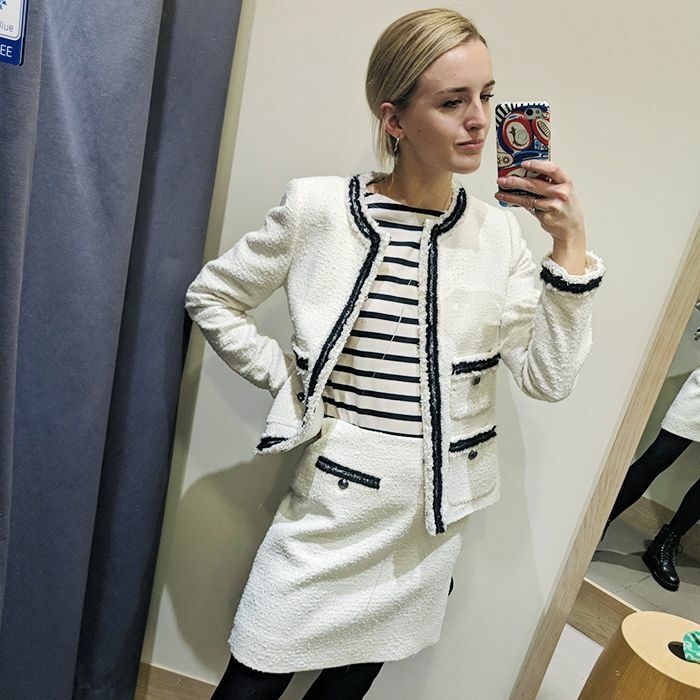 Despite possessing very different style personalities, they both have the same ability to inspire a shopping frenzy amongst the general public in a way that few others can. Whether it's a ball gown, bag or sneaker style, whatever they wear is going to be a sell-out success. So when Holly and Meghan both stepped out in not only the same print but the same print from a high-street store, it was only a matter of time before those pieces were snapped up. The items in question? A dress and a top, both in an unlikely abstract print from high-street fave Reiss. In Holly's case, it was a blush pink top, which she styled with a matching suede skirt and white ankle boots, while Meghan opted for a monochromatic minidress-and-black-blazer pairing. If you're wondering how you can get your hands on these wardrobe gems, then worry not, because we've done all the hard work for you and unearthed the exact pieces they're both wearing in the below pics. Scroll down to see and shop them before they go.